Doctor Who: The Moffat Scripts – HEAVEN SENT / HELL BENT | Warped Factor - Words in the Key of Geek. Dr. Moo looks at one of the weirdest Doctor Who stories ever filmed. This is one of the trickiest retrospectives for me to write since I started this series looking at all the episodes written by Steven Moffat between 2005 and 2015. That’s probably because the two episodes that make up the two-part finale to series nine are both so different to each other in every conceivable way. I’d even go so far as to say that Heaven Sent/Hell Bent is a two-part story in narrative only. That’s nothing new of course. The Trial of a Time Lord certainly takes that concept to the extreme, but we’ve also seen it with The Daleks’ Master Plan, The War Games, Utopia/The Sound of Drums/Last of the Time Lords and (to a lesser extent) Under the Lake/Before the Flood. So how does Heaven Sent/Hell Bent rank in the pantheon of the 262 Doctor Who stories? Well the way this story is so different across its two parts makes that a very difficult question to answer. Heaven Sent on its own is flawless but Hell Bent is not and it’s in the latter where the actual story can be found – Heaven Sent feels a bit like an extended prologue before the main story begins in Hell Bent. But to speak of it in that way does Heaven Sent a huge disservice because it is still a masterpiece in every sense of the word. 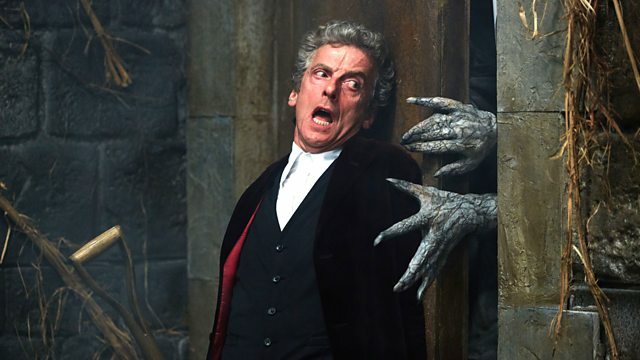 From the opening scene as the Doctor gives a cryptic monologue and we see a bruised hand pull a lever you know this is an unconventional episode coming up. What follows is the Doctor appearing via teleport, fresh from having seen Clara die via Me’s lack of forethought (see Face the Raven), and giving a Liam-Neeson-In-Taken-style speech to whoever may or may not be listening – and you, the viewer, are hooked in. Peter Capaldi is absolutely phenomenal in this episode which is just as well considering it is, for all intents and purposes, just him alone for the whole fifty minutes (Seriously, HOW THE F**K did he not get the BAFTA nomination?!?!?!) 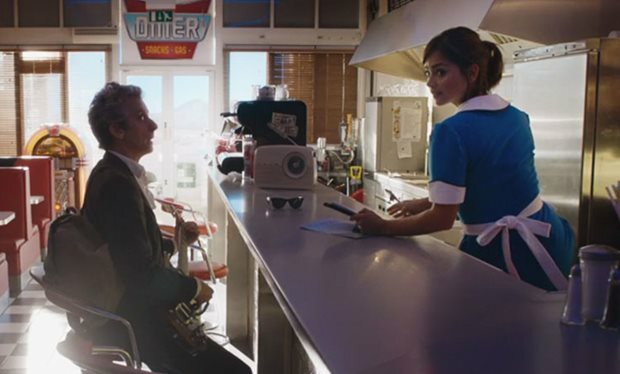 save for some guy in a veil and Clara in the Doctor’s mind TARDIS. His mind TARDIS is ripped straight out of Moffat’s own Sherlock but I won’t call it plagiarism since it’s the same guy writing both and completely in-character for the Doctor to have one, especially THIS Doctor. You need an actor of Peter Capaldi’s authority, charisma and intensity to pull it off and that he does; it works exactly how it should. Move over Benedict Cumberbatch! Heaven Sent is a tragic story, as the Doctor tries to balance his grief over his dead (for now) companion and run from a death of his own. When he finally finds his exit is blocked off by an unbreakable diamond wall is when the true tragic nature of the episode hits home hardest. He can barely make a scratch in the wall before The Veil catches up and burns him to a cinder. Then he climbs the stairs bloodied and bruised and pulls the lever and… reappears in the teleporter to go through the whole cycle again, none the wiser as to how many billions of times he’s done it already. No matter how many billions of attempts he makes he can never succeed without dying. It’s heartbreaking to see and Peter Capaldi gives a powerhouse performance, for which his lack of BAFTA nomination is nothing short of criminal. When after repeating the cycle of death and rebirth for 4 and a half billion years (and goodness knows how many trillions of times) and finally makes it through the wall to Gallifrey(!!!) you’re cheering him on. 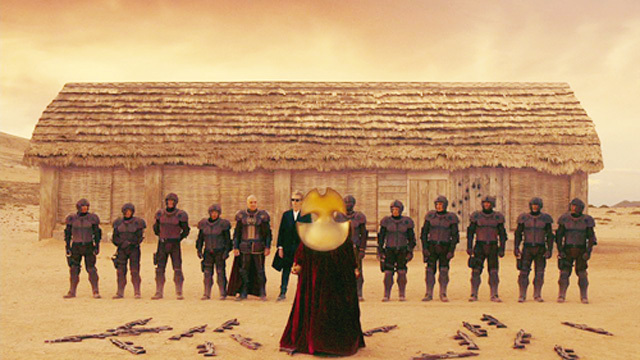 Waiting for the next episode for a whole week was torture: The Doctor’s back on Gallifrey and he’s angry! How could that premise be anything less than awesome? One does so love fireworks. Which brings us to Hell Bent. We’ve got Rassilon back, having regenerated off screen at some point from looking like everyone’s fourth-favourite James Bond Timothy Dalton into Game of Thrones’s Donald Sumpter, and that’s an improvement. Having an actor of Sumpter’s pure understated brilliance is an improvement over the spitting and shouting hamminess of Dalton’s portrayal. The sheer evil of Rassilon in the Time War is something that we saw with Dalton in The End of Time on screen with the Tenth Doctor, and Engines of War in print with the War Doctor, but Dalton himself was never convincingly able to get it across (but whether that’s down to him or to Russell T Davies is up for discussion). Sumpter however is amazing, presenting Rassilon as a battle-hardened dictator with his conscience and morals long since abandoned, and with this performance he steals every scene he’s in. Sadly there are not many of them. The first ten minutes or so of Hell Bent are a two-person standoff between him and Capaldi’s Doctor, with Twelve in full-on “war Doctor” mode, and in all of it Peter Capaldi doesn’t say a word. He says more by dropping a spoon or drawing a literal line in the sand than he ever did in his philosophical musings on good and evil in The Witch’s Familiar, his anti-war message in The Zygon Inversion or his thoughts on immortality in The Woman Who Lived, good though those scenes all were. And all without saying a word. 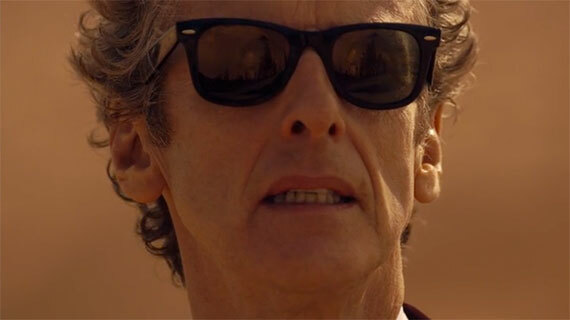 You get the sense that he’s scheming something up the entire time, and when he reveals that he’s used his Sonic Shades to call reinforcements you realise just how unpleasant the Doctor can be to you when he’s not on your side. Rassilon is deposed and the Doctor becomes the new President of Gallifrey – because taking that office has always worked out for him in the past… right? It’s once Rassilon’s out that the Doctor decides to go resurrect Clara and extract her from the point of her death, between her penultimate and final heartbeat, thus changing a fixed point in time. Then he shoots the General dead before running off and stealing a TARDIS. ...and then laughing. Before underlining it. Twice. He’s trolling us and he knows it, and I bet he loves doing it to us. Ken Bones we hardly knew ye! At least what little we see of T’Nia Miller as the new “Twelfth General” show's promise so hopefully we’ll be seeing her again sometime. 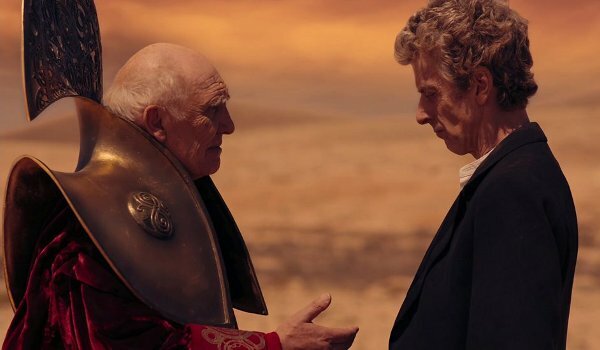 Ditto that for Donald Sumpter’s Rassilon who will surely be out for revenge on the Doctor in a future story? Surely? Hopefully! Fingers crossed. 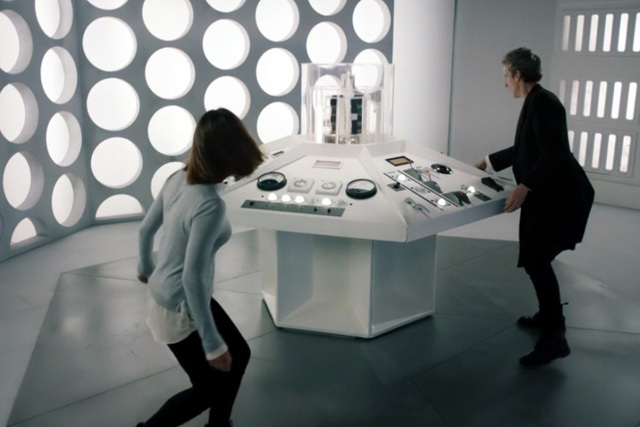 What then follows are a few minutes of the Doctor and Clara flying to the future in a stolen TARDIS, with the nice fan service of the Hartnell Era console room which somehow doesn’t feel out of place even in a 2015 episode – this design is timeless in a way that other console rooms (Series 7B, I’m looking at you!) can’t even come close to. I know this is blatant fanwank but who cares; after the fan-trolling regeneration I welcome a bit of fan service. Then we are reunited with Ashildr/Me at the very end of the universe, we get a few thoughts on what the Hybrid could be (including a permanent doing-away-with of the Doctor’s half-human claims from The TV Movie) and finally the Doctor goes to wipe Clara’s mind of him, only for her to reverse the polarity and remove all memories of her from him. Then Clara and Me go off in their TARDIS with Clara deciding to return to Gallifrey and accept her death… after a few billion years of adventuring. Even in death she can’t stop being the Doctor and this is a fitting end to her story, so I have no complaints. And the story ends with an acting masterclass from Peter Capaldi as the Doctor goes away in his own TARDIS with a new Sonic Screwdriver; it’s a brilliant final scene to end the season on a high. 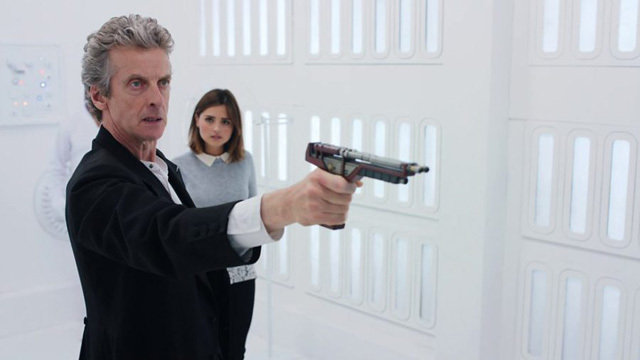 The Doctor acts out of character by shooting the General dead at point-blank range, committing murder. But the Doctor knew that the General would regenerate and even made sure to find out how many he had left before the shooting. These three criticisms can be argued with but there’s still something that bugs me about this story and that’s why it exists in the first place. I don’t see why Clara couldn’t stay dead after Face the Raven and I don’t like this trend in ‘NewWho’ to not let the dead stay dead. It detracts from the drama. While Clara’s story has a fitting end here it would also have been a fitting end in Face the Raven, and would have been less jarring too. So that’s what I make of Heaven Sent/Hell Bent. 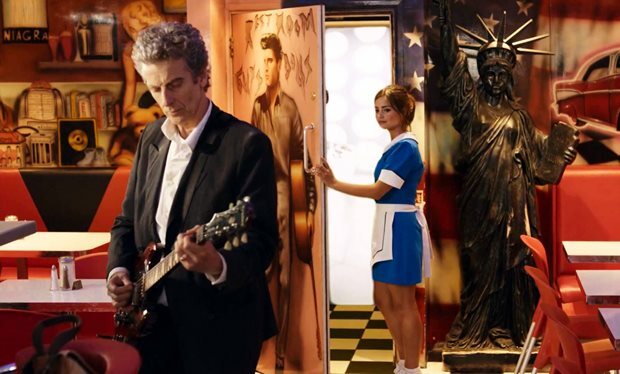 These were two very different episodes but together they brought the best season of revived Doctor Who, and possibly of Doctor Who as a whole, to a close on a high. Sure the story isn’t perfect and has a few issues but overall I can’t really complain. They make for a solid and satisfying couple hours of television and I can’t ask for more than that! They feature stellar performances from Peter Capaldi and Jenna Coleman as well as a memorable guest cast and an unpredictable story, this is a good end to series nine. Now bring on Christmas, bring on comedy antlers, and bring on River Song!